One of the things that was important to me was that as contemporary Muslims we should be able to take a look at what our past has been and be able to say that we have had some Muslims who have preferred not to have any images and we have had some Muslims who have preferred to have images with the face. Muslims are having hard times today in explaining themselves to the world. In a world of prejudices, the shelves of the bookstores are full of books assaulting Muslims, Islam or Prophet Muhammad (pbuh). However, some publications are paving the way for overcoming the clichés about the way that Islam and the Prophet is introduced. The recent book of Omid Safi, Professor of Religious Studies at the University of North Carolina, is a promising example for its own genre. 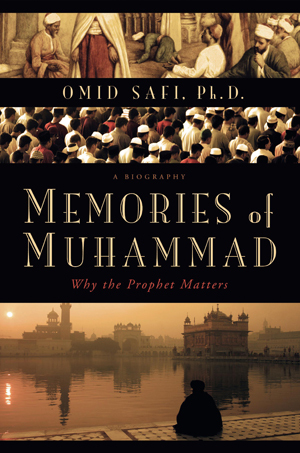 Memories of Muhammad: Why the Prophet Matters takes the reader to a fluent and sincere story of Prophet Muhammad's life. The book is already among the bestsellers in the USA, and Safi answered the questions of Lastprophet.info during his visit to Istanbul. There are some miniatures in the book in which Prophet Muhammad (pbuh) is unveiled. Did using such an image of Prophet Muhammad cause any problems, did you receive any reactions? Omid Safi: So far this has not caused any problems. In the book I explain how these kinds of images were produced by Muslim artists. This particular image is from the Seerah-Nebi, which is a very distinguished collection; more typical are the ones you can see elsewhere in the book, where there is a hijab-light over the Prophet's face. However, there are some in which his face is uncovered. I think that because of the Danish cartoon controversy we are very sensitive nowadays about this issue. I thought and actually prayed about this issue, wondering if including such images would upset people in the same way that the Danish cartoons did. But there were no such problems; those cartoons were intended to upset people, to inflame emotions. If you go back and look at the original set of cartoons, there is one that even says they are trying to seek publicity. So they knew that this was their agenda. Astafrullah, there is even one that shows Prophet Muhammad with a bomb in his turban. But this book is a work of devotion, a work of piety, indeed a work of love. This is by Muslims, for Muslims. This is something different, and it is also a part of our heritage. One of the things that was important to me was that as contemporary Muslims we should be able to take a look at what our past has been and be able to say that we have had some Muslims who have preferred not to have any images and we have had some Muslims who have preferred to have images with the face. Of course, this is not what the Prophet looked like. The image is very central Asian, because of the Ottoman sultans themselves; he has a Turkish look. The eyes are a little slanted. We know that an Arab man from the 7th century would not look like this. This is the product of someone's imagination, Alhamdullilah. The important point is remembrance; it is almost like a dhikr. What strikes me is that, despite such a tradition has existed for many centuries, many people, many Muslims aren't aware of this dimension of Islamic art. Omid Safi: They aren't. When I first started to write this book I thought that I would write it mainly to educate non-Muslims, and it is true that as a professor of religion, when I speak to non-Muslims they know a lot of stories about Jesus, and they know stories about his life and miracle stories and his teachings. When you ask them about Moses, they know a few less stories and his teachings, but when you ask them about Prophet Muhammad, they know nothing. They can't tell you a single story from his life or a single aspect of his teachings; they can't tell you a single spiritual teaching that we can trace back to the Prophet. So in the beginning I thought I was writing for such people. But the more that I wrote, the more I realized that we as Muslims also need to remember, and that is why I chose this title: Memories of Muhammad. There is the sense that we as Muslims are suffering from "spiritual amnesia". We have forgotten. You see this when you notice the ways in which Islam today is for most people a very narrow conversation about enforcing a certain understanding of Shariat, or it is only a conversation about Islamic states. I was interested in remembering the Prophet through the lens of the Qur'an, which talks about him as "the mercy of the worlds." That is the aspect of the Prophet that we as Muslims have forgotten and I am trying to help people remember this. In the book you mention the assaults on Prophet Muhammad. Are these natural reactions to these conditions, or do they include deliberate intentions? Omid Safi: What I think is interesting about many of the attacks on Prophet Muhammad is, first of all, how old they are. Many of them are at least 1,000 years old and some are 1,200 years old. One of the things that I have tried to emphasize in the book is that when we look at Medieval Europe we can see that they were fascinated by Islam at the same time as being terrified of it. They were not modern university students. They never tried to understand Islam in order to understand it. What they tried to do was to dismiss it. In the introduction of the very first translation of the Qur'an into European languages, it says that "I am translating this so that I can refute it". Now, that is not an agenda of understanding, it is a political agenda. What I am trying to show here is that the Europeans had two reasons for attacking the Prophet. One is theological and the other is civilizational. The theological reason is easy to understand. From the perspective of Christians, they considered themselves above Jews. They said "We come after Judaism and Jesus came to complete the law." This was something that felt very good; "we are the last, the greatest". But then six hundred years later out comes this other guy who says he is receiving messages from the same God. In many ways Muslims are saying the same things: "We have the last message. The Torah and the New Testament have been distorted and we have the authentic book." So for Christians there is this theological problem of what has happened? Does God not love us anymore? Has God changed His mind? Are we not His favorites? Instead of moving towards a position of pluralism, instead of saying "One God can send many messengers" They say no, this Prophet must be a charlatan, inspired by Satan. You cannot think of your fellow citizens as kafir, and so, yes, there is a lot of prejudice that the Europeans have to come to terms with, but we also have a lot to do as Muslims. The second aspect is civilizational. The Europeans watched with great horror as Islam spread from a small town in Medina of 10,000 people; in a matter of hundred years Muslims were ruling over Spain on the one side and India on the other. This is an area greater than Rome at its zenith. And they accomplished this only in a hundred years. I think it is this combination of religious and civilizational challenge that made the Europeans not inclined to understand Islam and to be terrified of it. Today you see many of the same stereotypes, the same clichés repeated, except that they are also combined with our current world reality; in many places in the world Muslims are seen as weak and not united and emerging from colonialism. And especially in a place like Europe, you find this very strange situation where they are trying to erase the Muslim memory in Europe, where they don't want to talk about the Ottoman Empire being as much a European empire as it was an African and Asian Empire; on the other hand, Muslims are now the second largest religious minority in Europe. Europe is having an identity crisis. They are struggling with these issues of "Who are we?" Any country that has a diverse population but tries to insist that they are one thing can only do so by denying the existence and citizenship of its minorities. We see this in Saudi Arabia, we see this in Iran, we see this in Pakistan, and I hesitate to say, we see this in Turkey; we certainly see it in Europe. The answer is not ever coming up with some mythical, distorted view of history in which Muslims are perceived as never having been a part of Europe. The solution is to come up with a new model of inclusive citizenship in which they have identically the same rights and responsibilities afforded to everyone. Within this framework do Muslims have certain responsibilities? What should Muslims do in this context? Omid Safi: When we think about something like a responsibility, from an Islamic perspective, then we think about hukuk. Hukuk is both rights and responsibilities and we cannot insist that we are entitled to certain rights in Europe without recognizing that we have certain responsibilities. I think one of the shortcomings we have had is that we want all of the rights; we want freedom to work, freedom of worship, freedom of language, freedom of dress; but we haven't always been willing to take on the responsibilities. One of the ways that I think about this today is that the whole language of the Islamic world is an outdated language. This language makes it sound like there is the rest of the world and Muslims live on this other planet called the Muslim world. The truth of the matter is that every society today is a mixed society, that every society today is ethnically, religiously, socio-economically and linguistically mixed. I think that every society has to come to terms with this. For example, if we as Muslims want to be citizens of a country, be it Iran, Turkey, Great Britain or America, then we have a responsibility to act as citizens and that means no more of this language: "We live in the land of the kafir and we make money off them." That is unacceptable. You cannot think of your fellow citizens as kafir, and so, yes, there is a lot of prejudice that the Europeans have to come to terms with, but we as Muslims also have a lot to do. For example, in the book you mentioned about relations with the Jewish community; maybe there should be some lessons taken there for those who don't know much about Islamic history. 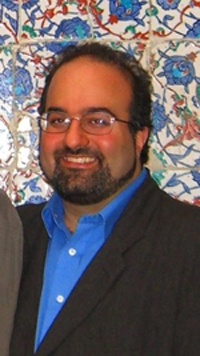 Omid Safi: One of the main points about which I have been thinking is that on the one hand that we have this model of Dar ul Islam and Dar ul Kufr, which actually only happened in a small part of Islamic history, when we had the crusades and things like that. If we go back to the time of the Prophet, yes he established a society in Medina. But as part of the constitution of Medina, he declared a model (I have written about this in the book and this is based on the oldest biographies and sources) in which the Muslims follow the Prophet and the Jews form another ummah. Now, we don't hear about this very often. We always think of ummah as referring to Muslims. What would it mean to think of a greater union where Muslims and Jews could work hand in hand for a greater good? Think of the great model that the Palestinian issue could offer if we were put forth that kind of a model, one based on citizenship, where every Jew, every Muslim and every Christian would receive identically and exactly the same set of rights. Yes, many Zionists would never agree to this; they want all the rights. A few Muslims would never agree to this; they want an Islamic state. But my sense is that many many Jews and many many Muslims and Christians would support that kind of arrangement. Let's go back to the life of the Prophet again. One of the time periods in the Prophet's life that we don't think about very much is the Abyssinian period; when the Muslims were being persecuted, the Prophet sent a significant number of Muslims to Abyssinia. There was a Christian king there, who cared for the Muslims, provided for the Muslims and even when the Meccans came and asked for those Muslims to be handed over, the king's response was no, these people are going to stay here. I would like to think that for some of us Muslims today in who live parts of the world where there is a Christian or secular majority that we can use this example; Muslims were able to live in Abyssinia and we should be able to live in Europe and America, as faithful Muslims, living side-by-side with Christians, contributing towards the greater good without losing the sense of what makes us who we are. We have hundreds of verses about poverty, about justice, injustice, tyranny, about orphans, about widows, about those who have no protection. But we act as if those verses don’t exist. The founding fathers' openness to Islam in the book was very interesting to me. After such visions, what changed so that all the perceptions were turned upside down? Omid Safi: The founding fathers of America were by no means perfect. For example, we know that the same people who talked about the inalienable rights of all men may not have included women and certainly didn't include African slaves in this category. But having said that, for their time period, for an eighteenth century white, elite land-owning male group, this was a remarkable advancement. After that, I think what happened is that they didn't have or they didn't realize that they had had encounters with Muslims. They actually did have encounters with Muslims, because we know today probably around 15-20% of the African slaves who were kidnapped and brought to America were Muslim. So we actually have hundreds of thousands of Muslims coming to America. However, very quickly they were prevented from practicing their religion, their language and their culture and they very quickly became Christian. They were forcefully assimilated. Islam kind of disappeared from the American consciousness, and it became this Arab thing. America is a society that has always struggled with its others. It has struggled with the Native Americans, it has struggled with the Jews, and it has struggled with the Irish. Today, it is struggling with Hispanics, Mexicans and Muslims. One of the points that I have always tried to make is that when speaking with Muslim audiences I remind them that it is very natural for people to be concerned about their own well-being. So it is understandable for Muslims to be concerned about Muslims being harassed, about Muslims being persecuted. But it is much more effective to say that our cause should simply be the cause of justice and the justice of all. Thus, when any person in our society is bothered or harassed this should be our cause. One of the things that I have written about here is what the ethical concerns of the Qur'an are; one of the things that stands out most is, for example, how much time we have spent in Turkey and Europe arguing about the hijab. This is a complicated issue, here, Iran, everywhere. But when we look at it in reality there may be three or four verses in the Qur'an that talk about the hijab; they can be interpreted in different ways. Reasonable people can disagree. We have hundreds of verses about poverty, about justice, injustice, tyranny, about orphans, about widows, about those who have no protection. But we act as if those verses don't exist. In a real sense, tyranny, hierarchy, poverty; these are un-Islamic. If we want to go by the sheer weight of what God is emphasizing in the Qur'an and what the Prophet is emphasizing, those are the areas that we should be addressing. Not enforcing whether or not women wear headscarves. But it is because of these verses that Islam is depicted as a religion that oppresses women. This is why the part about Hathret Khadija is really interesting, because it truly reflects dimensions of Prophet Muhammad that are not known. I don’t think we Muslims should be afraid of speech, but we should continue to insist that there are also things that are hateful when they are said about us or about our Prophet. Omid Safi: Yes, I am glad that you have brought up this story. It is my favorite story in the whole book. What interests me about this story is that first of all it is true. It is taken from the oldest biography of the prophet and it is very intimate and personal. He has just come down from Mt. Hira and he has just seen Archangel Gabriel, who says "God has chosen you to deliver this message". He's nervous, he is overcome he is in awe, the way that all God's Prophet's had been before, as you can see if you read the Bible and the other Divine books. Prophet Muhammad comes home to his best friend, his companion, to the one who is the greatest source of support. We don't hear that very often. And then she has him sit on the left side of her lap, the right side of her lap, and then in her lap. In the Arabic original it says very clearly that she loosens her robe until he is between her breasts. This is an intimate embrace not just between Prophet Muhammad and Khadija, but between husband and wife. Non-Muslims don't know this story; even Muslims don't know this story. Even though this hadith is in Ibn Ishaq, even though everyone says it is authentic, we are too ashamed to talk about the Prophet hugging his wife. But on the other hand, everyone wants to get married, everyone wants to figure out how we can have a good model for Muslim men and women to relate to one another so that there is respect, and maybe equality. We have this miniature in the book for example, it is Khadijah proposes to Muhammad. 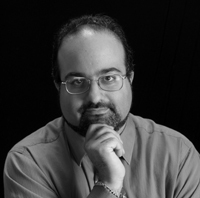 Omid Safi: It is for this reason that I have included in the book a miniature of her proposing to him. If you notice, Khadijah is on a roof top and the Prophet is at street level, and in the back-ground there are angels. They are applauding, because they recognize that in this marriage there is baraqat, that a lot of beauty and goodness will enter this world from this marriage. This must be very revealing for non-Muslims who perceive women as oppressed in Islam. You also use the word revolution, the Muhammadian revolution; how does this sound to Western people, for a prophet to be a revolutionary? We tend to think of a revolution as being rather bloody; unless of course it is a revolution we like. The American Revolution, that is a good revolution. The French Revolution, égalité, liberté, that is good. But one of the reasons I used this term was to point out that in the original sense of revolution there is a meaning of coming back to a center. The word in Arabic, Persian and other languages is inkilap, and the root of this word is kalp, the heart. This reminds me of the Qur'anic ayah which states that God does not change the condition of the people until they change it for themselves. If you wish to change the condition of the people you have to change their hearts. When I take a look at the example of the Prophet before he gets to Medina, before you have the ummah, before the establishment of the Islamic community, there is 13 years of sohbet, 13 years of companionship, of prayer, of friendship, of connections; I think this is the lesson we forget. I said to a friend of mine that one of the problems I see with modern people, even modern Muslims, is that we are trying to change the world before we change ourselves. In English and in the Biblical traditions - we don't necessarily have this in Islamic languages - there is the idea of a prophetic consciousness. This is not just following the prophet, but rather that every prophet comes to their community and says "You are doing wrong. You are committing injustices." The prophets in the Qur'an in the Bible are non-traditional figures. In fact, in the Qur'an every time someone says "I am only doing so because this is the way of my forefathers" this is perceived as the argument of the Time of Ignorance. I think the task of the Prophets is that they tell people: "This is what you are doing and you need to use God's standards to evaluate it; if there is a tension between what you are doing and what God calls you to do, you should do what God calls you to do." Tradition by itself cannot be allowed to simply continue unless it lives up to God's words. What I wish is that we would have more Muslim teachers who would be able to explain our religion in this way instead of a list of dos and don’ts, harams and halals. Also, there is a part that describes how Muslims address God's prophet. I think this is very important. When we consider the arguments, especially after the damage of the cartoon crisis, there was a decision that many non-Muslims couldn't make. With respect to the Prophet this was not an issue of freedom of expression, but respect. I think this is true. In Europe there is a concept of "hate" speech. In Europe one cannot simply say whatever one wishes. It is recognized that some words are hateful words that are designed to incite. For example, you are not allowed to publish something that says the Holocaust did not happen, because it is understood that this event is so real and hurtful to people that it cannot be denied, so as a result it is outside the boundaries of freedom of speech. I don't think we Muslims should be afraid of speech, but we should continue to insist that there are also things that are hateful when they are said about us or about our Prophet. You refer to many different traditions. You refer to the Shia tradition and the Sunni tradition...these are also important. Yes, what I wanted to do was to show that the ummah of Muhammad is a very wide ummah. I think we are sometimes afraid of one another without really knowing one another. It was important to me to be able to state this. That is one reason for the title "Memories"' I wanted this word to be in the plural, to say that all of us are thinking back, but we have different recollections; these might overlap. Show me your memories of the Prophet and I will show you your Islam. This reflects a great diversity. In the end you say that you are planning to write a book tracing Islamic history Prophet Muhammad to bin Laden. This is very interesting; can we accept bin Laden as part of Islamic history? I don't accept bin Laden as being representative of Islam. In fact, one of the things that I have tried to do here is to say that one of the mistakes we make is in the way we argue about Islam; we want to open up the Qur'an, be it an English translation or a Turkish translation, and say "Ah ha! That is what Islam is." However, historically, Islam is understood through later commentaries that open up the Qur'an for us. For us, the first commentary has never been a tafseer; it is actually by viewing Prophet Muhammad through his life and his teachings that we can be helped to understand the Qur'an. So if we want to understand something, like 9/11, as to whether this is this an acceptable interpretation of Islam, we need to examine the teachings of the Prophet about Jihad, and then we can see that we cannot kill women, civilians, cut down trees or poison a water-well. In this light, it clearly stands out that such an action is clearly not in keeping with the Prophet's life. But it is not only non-Muslims who are confused about Jihad; we as Muslims, somehow are almost illiterate when it comes to our own traditions. What is the reaction of non-Muslims to the book? For example, maybe the miraj seems unreal to non-Muslims. Alhamdullilah, the book has only been out two weeks, but it is already one of the best-selling books in America. What I tell people is that if you want to understand Islam you have to understand the miraj, in the same way that if you want to understand Christianity you have to understand the crucifixion and the resurrection, and if you want to understand Buddhism, you have to understand the Buddha's enlightenment. For us, the whole goal of the spiritual life in Islam is that the Prophet went to see God face-to-face, and we want to follow him. I think that when non-Muslims read this, they can refer to accounts of miraj in the Bible. Other Prophets have had miraj, so we have to remind them of this. What they don't realize, because we as Muslims are so bad at explaining this to them, is that the namaz is our miraj. They love to show pictures of us with our foreheads on the ground and our behinds in the air. How often have we stopped and said that we pray because Prophet Muhammad went on the miraj and he told us to do so? This is how we have to translate our religion; not just for them, but for us. I see many young people praying as if they are doing yoga or gymnastics. They are trying to finish it so they can get back to their football game. We should think that each time we are coming to the prayer and we say Allah Akbar, we are putting the world away from us so that we can come face to face with Allah. How should we act when we are face to face with Allah? Then there is a return. After Prophet Muhammad went on the miraj he is given a choice; do you want to stay here in huzur with God or do you want to return to the people? He says he wants to return so that his people can ascend as well. Namaz is the same. There is a time to focus on God and then there is the return back to this world. We need both. What I wish is that we would have more Muslim teachers who would be able to explain our religion in this way instead of a list of dos and don'ts, harams and halals. Lastly, what future projects are you thinking about? Well, there are a few. I do want to write that book on Islamic history, from the Prophet to today, stopping at a few points. There is a beautiful chapter that I have already written on Istanbul. Istanbul is my adopted home. Then there is a book on the teachings of Mawlana. I'm looking at his memories through time and space. I am also translating one of the original tasawwuf books about ashq which was written in Arabic and Persian about 1,000 years ago. It is about how the love of humanity and the love of God are related to one another. Those are future projects.